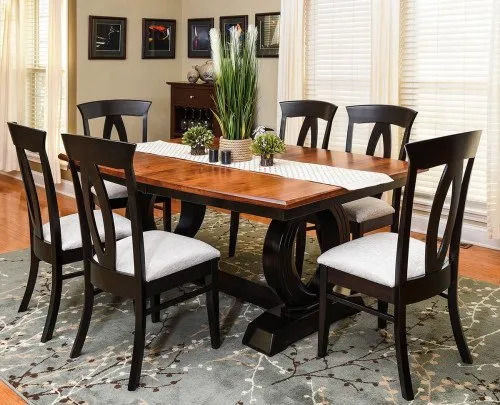 Our Jack Daniels whiskey barrel pub table set is perfect for your basement or “man cave” This authentic whiskey barrel is branded on the sides and top with the Jack Daniels logo. The center of the top is glass to offer complete functionality while still being able to view the top of the barrel. 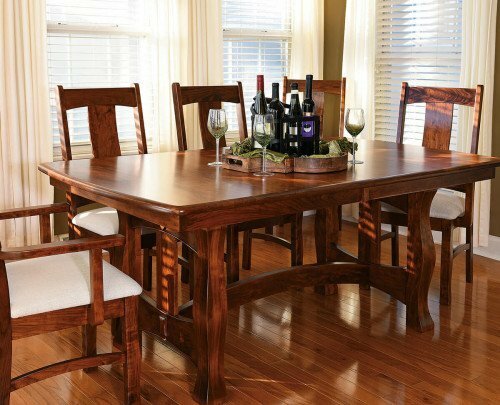 Our whiskey barrel stave stools with a leather swivel seat compliment the barrel pub table. 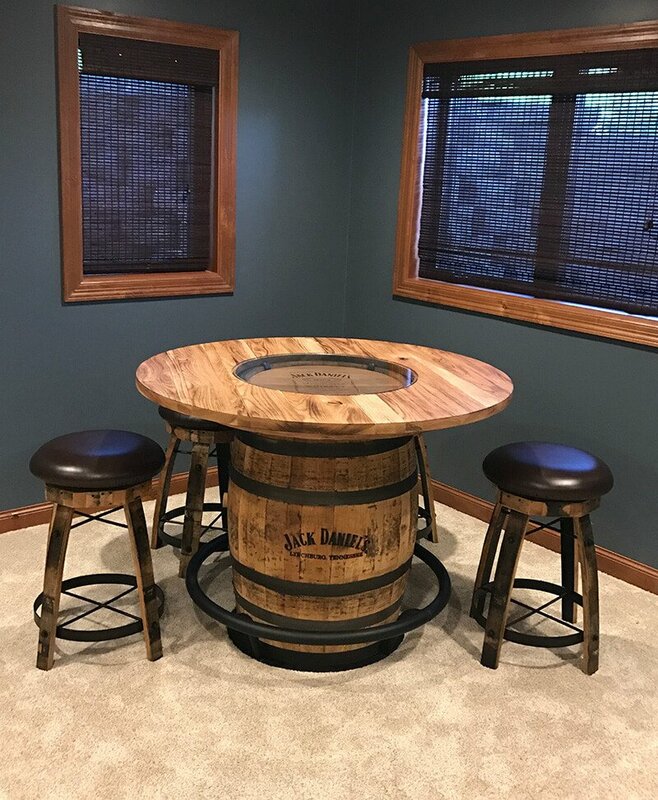 Our Jack Daniels whiskey barrel pub table is perfect for your basement or “man cave”. This authentic whiskey barrel is branded on the sides and top with the Jack Daniels logo. 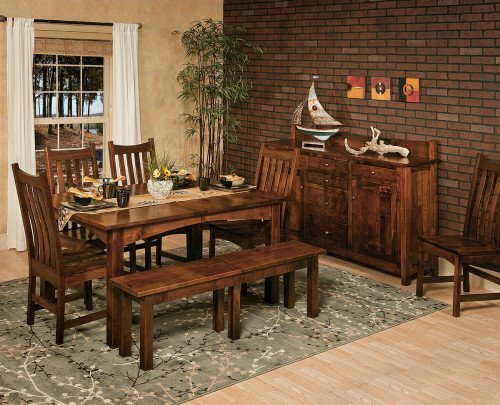 Then our Amish craftsmen create either a rustic ¼ sawn white oak or a rustic hickory top. The center of the top is glass to offer complete functionality while still being able to view the top of the barrel. 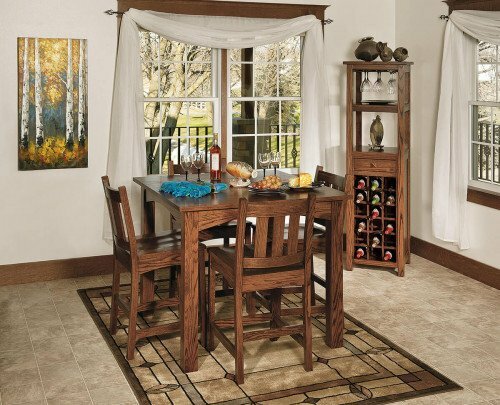 Our whiskey barrel stave stools with a leather swivel seat compliment the barrel pub table.